Steam Bell Beer Works was founded on a passion for community. We are brewer-owned and consider everyone who walks through our doors to be family. We are inspired by the desire to celebrate the end of a long day with great beer and even better friends. We use only the highest quality ingredients to brew an exceptional selection of beers that honor tradition, history, and innovation in the industry. We are here for the locals and out of towners, the working people and the party people, the brewers and the consumers. At Steam Bell Beer Works, our beer is for everyone. Brad Cooper is the founder and head brewer at Steam Bell Beer Works. 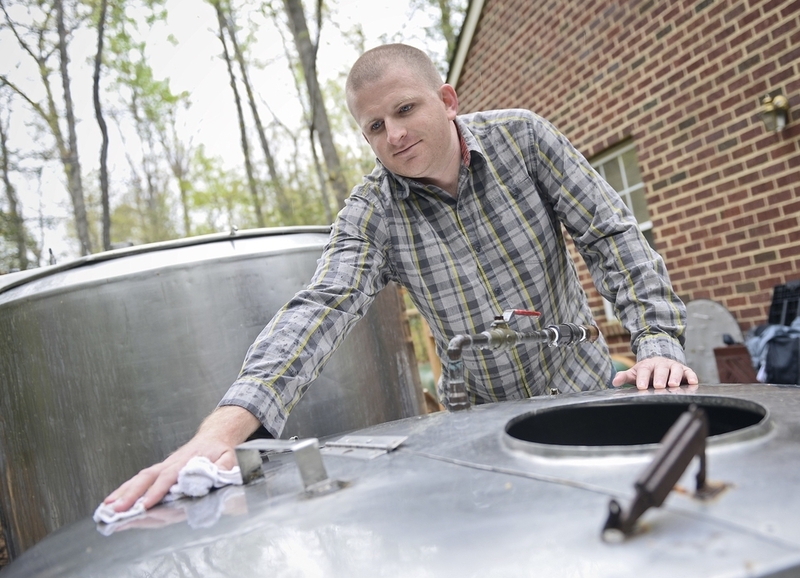 A Chesterfield native, Brad’s love for beer and homebrewing began in his parents’ kitchen many years ago. His passion for brewing grew in the wee hours of the morning and night as he worked to perfect recipes and build a business plan. After a bittersweet departure from his job in the mining industry, Brad jumped head first into launching Steam Bell Beer Works. Today, Brad focuses on brewing unique versions of age old recipes that honor the tradition of sharing good beer among friends after a long day. resources we've pulled together for media in the link below!